Buyer Beware! or… “Why isn’t anything ever easy?” | 5-6-7-8 Dancing My Way to a Healthy Me! There. Feel better? I do! Why can’t companies just leave their products alone when there is nothing wrong with them? Hmmmm? Why do they have to go and fiddle with it when it ain’t broke? Hmmmm? Why? SIGH Wondering why I’m carrying on about? Well I’m glad ya asked! I know, it’s an old joke but there is an element of truth in it. I used to shop at Whole Foods for just about everything back when I was working 40 hours a week as a librarian. Well, you get the idea. 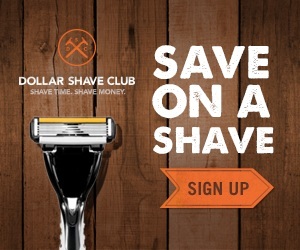 I can’ afford to shop at Whole Foods. I like Whole Foods but I can’t afford to shop there. So I went online and learned that Maltodextrin is a kind of sweetener used in lots of different foods. It is basically a “sugar.” Which just does not make sense to me! Why add a “sugar” to a substance that people are buying to use as a replacement for Uhmmm, well, “sugar”? Maltodextrin can be made from a variety of different plants; in this case they are using rice. To be fair to Whole Foods, because Maltodextrin completely adheres to their published standards regarding only having natural products in their store. AND, I understand that Maltodextrin is 100% natural, however but I thought I was getting just Stevia and nothing but Stevia when I bought their product. So I was a wee bit surprised. Silica is short for silicon dioxide. And it is made from quartz which is one of the three most common elements on earth. Folks we’re talking about SAND! Come on! Turns out we eat a little bit of dirt all the time and according to some information I’ve found, the body needs a very small amount of it to stay healthy. 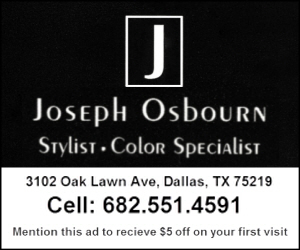 It is approved by the FDA as an additive and it is there as an anti-clumping agent. Is it dangerous to add silicon dioxide to food? Probably not, since its toxicity level is often very low. Is it disgusting and unusual? Yes, it’s down-right disgusting if you’re asking me. 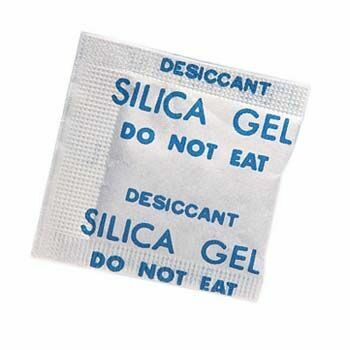 And Silica, in a slightly different form, called Silica Gel, is the same stuff that comes in those little packets with the warning labels. Evidently Silica Gel absorbs water. So while it it is not “toxic” technically, if you accidentally eat some of it, it will make you feel really really awful. So, don’t eat any. So, silica is natural because it is a rock. And rocks exist in nature. Tah DAH! And given that WHOLE FOODS is a company whose whole business model on screening the products they carry and ensuring that they are of a higher caliber, well you can see why putting SILICA into their foods, surprised me. Even if silica is perfectly healthy, come on… perception is important! …I looked at Truvia, and Pure Via. OMG! Horrified! I tell you HORRIFIED! One look at the ingredient labels were enough to make me wish I had taken chemistry in college. This stuff makes the Whole Foods Stevia Extract look saintly! And it does verify that Whole Foods is true their mission statement to not let crap like this junk into their stores! Loyal readers, any time you see the phrase “other natural flavors” on a box of so-called “food” be afraid, be very very afraid. Put the box carefully back onto the shelf. How is that a company is allowed to take a 100% natural plant leaf, then process it with chemicals in order to create a “patented process” and end up with something that is NOT found in nature THEN sell it as “a healthy choice” is just friggin’ amazing. But these companies managed to do it. I mean, what is the friggin point? Stevia which all by itself ground up with nothing but the leaf and added to food, makes that food sweet! There. Job Done! Why do all this chemical crap? I’ll tell you why… so they can “trademark it” and make more money that way. So, after viewing these other products, the Whole Foods brand is better than the chemical nightmares for sale at Kroger. That’s when I decided “ok, I think that going to Whole Foods once a month for the Stevia is not such a bad thing. So, I’m good. I’m set. I’ve done my homework. I’ll just whip in and whip out of Whole foods and get this one itty bitty item. Right? Whole Foods has this nasty habit of running out of some of their more popular products on a regular basis. And when you’re only going into the store for ONE ITEM and that item routinely is NOT ON THE FRIGGIN shelf, well this is a problem. So, I did the unthinkable. I bought a box of Sweet N Low at Walgreens because it was on sale. Don’t judge me too harshly. I was weak, I know. Yes, I know, I feel from grace. A month goes by, my Sweet N Low is about out. And since one simply can NOT have one’s morning coffee without sweetener… well I try Whole Foods Again. And yep you guessed it. NO FRIGGIN STEVIA. I bought it because it was the cheapest there. However, because I was in a hurry I didn’t read the label before buying it. I got it home and curious about the word “blend” on the box I was SHOCKED! HORRIFIED! AGAG AND AGOST even! Translation: It’s as bad if not worse than Truvia! SIGH I’m NOT makin’ this stuff up folks! 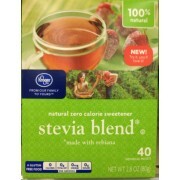 I figure that somewhere out there must be a company offering Stevia and just stevia. So I start searching online using Google and reading blogs written by people who are fanatics about this stuff. If you want all the gory details and facts, check out the links down below in the “further reading” section. But I’ll save you all the trouble. It only has two ingredients: Organic Stevia and Inulin which is a plant fiber with zero nutritional value. It’s just there to add a bit of bulk and make the Stevia pour out easier. 100% Pure Stevia extract if you want it is available in jars that look like spice bottles and are about the same size but pure Stevia evidently is VERY potent stuff. With the powder form, it is hard to measure out the VERY TEENY TINY amount of powder necessary to sweeten a cup of coffee. If you want 100% pure stevia for your coffee you are better off going with the liquid variety but make sure you get the non-alcohol kind. Again, you’re looking for a very short ingredient list remember? So there you have it. The rundown of my Adventure in Stevia-Land. Posted on Sun, Feb 2, 2014, in Getting Fit, Getting Healthy and tagged 365 brand, artificial sweeteners, coffee, fitness, Health, kroger, morning coffee, Pure via, Stevia, stevia in the raw, sweet n low, sweeteners, truvia, Whole Foods. Bookmark the permalink. 1 Comment. Pingback: Tony’s Take on: SweetLeaf Stevia | 5-6-7-8 Dancing My Way to a Healthy Me!